If you would rather use a palm free recipe, I’ve since created this same effect by replacing the Palm oil with Shea Butter (15%) and Cocoa Butter (7%) and adding a bit more Olive oil (3%). To create the colors, I added about 1 tsp infused oil per cup of soap. You can calculate your water and lye amounts by using a soap calculator like the one at Majestic Mountain Sage. You succeeded! 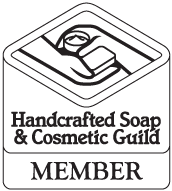 It looks exactly like a stem of Lavender has been preserved in your soap. Great job! Love this – looks amazing! So appreciate the great video tutorial as well as the palm-free version of the recipe!